Dalton State made Senior Day sweet, collecting a 79-61 victory over Mobile (Ala.) at Mashburn Arena on Saturday night. Mobile would come out with intent of spoiling senior night by jumping out to a quick ten point lead. 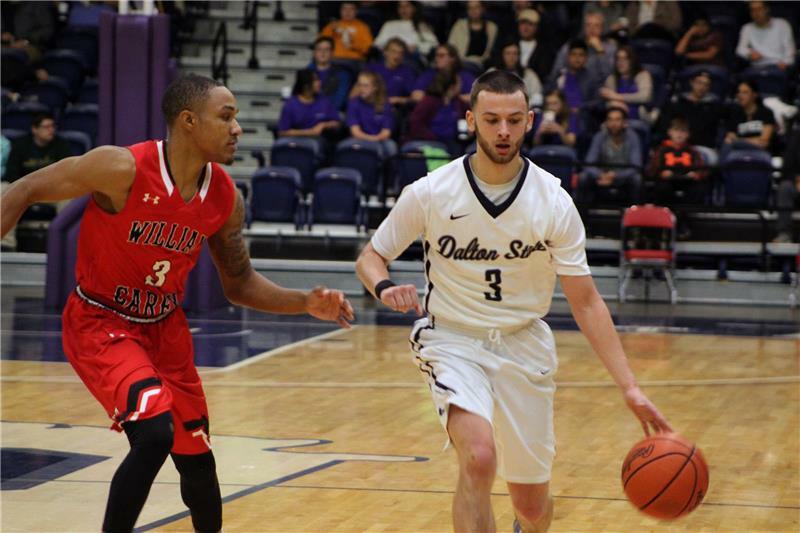 Dalton State would claw their way back with smothering defense. The Roadrunners would receive some help from the Rams as they would give Dalton State a free technical shot, plus free throws from Reed Dungan to tie the game. The Roadrunners would run the offense through All-American Carnilious Simmons to soften up the Rams on the inside with 8 points in the paint. Dalton State would end the first half up 40-35. In the second half, Dalton State would come out bringing the same ferocious D, taking the Rams offense out of rhythm and causing turnovers. Seniors Reed Dungan, Carnilious Simmons, Benat Hevia, and Isaiah Box shot above 45% from the field to go out with a bang and get the win over the Mobile Rams, 79-61. #15 Dalton State improves to (21-6 overall, 13-3 SSAC) with the win, while Mobile (Ala.) falls to (10-16 overall, 5-10 SSAC) with the loss. Senior Reed Dungan led all Roadrunners with 26 points and 3 rebounds. Seniors Carnilious Simmons, Isaiah Box, and Benat Hevia combined for an outstanding 37 points, 7 assist, 14 rebounds, and 7 steals. Tony-Toni Wright and D.J. Hill led all Ram scorers with 13 points each. Maurice Anderson followed them up with 11 points. The #15-ranked Roadrunners will play Brewton-Parker (Ga.) away on February 22. Tip-Off is scheduled for 7:30 p.m.